Industrial real estate activity has reduced largely due to global economic anxiety and growth slowdown across all regional markets, according to Cluttons’ bi-annual Dubai Industrial Market Bulletin for Spring 2017. While we expect the weakness to linger this year, opportunistic investors have been quick to capitalise on the quieter conditions, prompted by sliding capital values, particularly in more secondary locations. 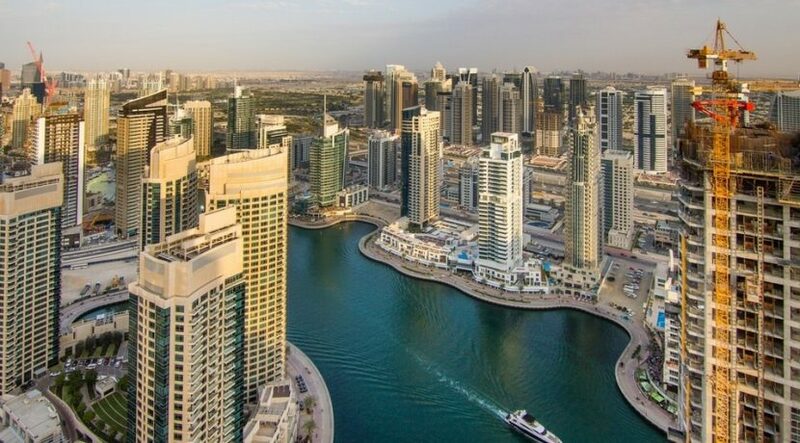 Despite these conditions, we continue to record an interest from international occupiers trying to gain a foothold in the market as they still view Dubai as the primary gateway to the Middle East and Africa. In particular, logistics and distribution centres remain popular among retailers and food and beverage occupiers, buoyed by the strength of Dubai’s tourism and hospitality market. We expect logistics and distribution assets to continue to perform well this year, driven by an active domestic economy and sustained growth in the tourism and hospitality sectors. The World Expo 2020 should help bring more stability towards the end of the year. Jebel Ali Free Zone Authority (Jafza) is the most established industrial free zone in Dubai. It has direct access to Jebel Ali Port and is connected to a surrounding external road network that provides good access to Dubai. It comprises a 48 million-sq-m industrial and commercial space, with over 7,200 companies, including major industrial and logistics operators such as Agility, Barloworld, Mohebi, Ceva and Landmark Group. All land within Jebel Ali Free Zone is leasehold from the government of Dubai. Leases are currently granted on a 20-year basis. The land lease rents relate directly to the location within the zone. 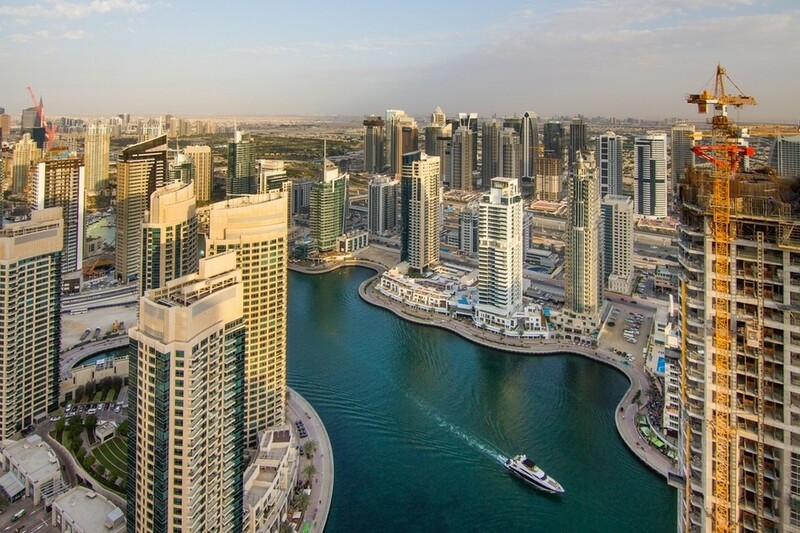 As a range, land lease rates are between Dh30 and Dh100 per square metre per year. Rental rates vary depending on quantum, specification and location. Typically, Jafza warehouse rents range from Dh28-Dh38 per square foot. Jafza has also seen migration within the area with Jafza north, the original home of Jafza, experiencing a rising amount of secondary stock as occupiers move to new facilities in Jafza south. Dubai South is a new free zone with an excellent location for global logistics and distribution, adjacent to the Al Maktoum International Airport and the Expo site. It has direct access to Jebel Ali Port and Jafza via a bonded corridor and bridge, and is connected to a surrounding external road network that provides good access to Dubai, the northern emirates and Abu Dhabi. A number of leading logistics companies such as Aramex, Kuehne + Nagel, Panalpina, INL, RSA and Hellmann-Calipar are already operating here. Rental rates vary depending on quantum, specification and location. As a relatively new industrial location, the majority of properties are occupied by owners, hence, there is no active leasing market. That being said, warehouse rents here range from Dh30–Dh50 per square foot depending on specification. National Industries Park (NIP), formerly known as TechnoPark, is located adjacent to Jafza in southwest Dubai. It is operated and owned by Economic Zones World, which also owns Jafza. It is not a bonded zone, but it is possible to have a 100 per cent foreign-owned, free-zone branch operating from the development. Key occupiers here include Nestle, Baker Hughes, Mammut and Danube. Companies here can operate as an onshore limited liability company with a local sponsor, or as a free zone branch. Operating as a free zone branch carries all the same benefits as a Jafza free zone entity in terms of ownership, corporate tax and repatriation of profits. Rents vary depending on quantum, specification and location. The zone does not have a lot of vacant stock and offers no terraced light industrial unit (LIU) facilities for small-scale rentals. Warehouse rents range from Dh30-Dh40 per square foot depending on specification. Dubai Industrial Park, formerly Dubai Industrial City, is an onshore industrial zone located on the outskirts of Dubai South. It has a total of 2 million sq ft of pre-built warehouses offering various storage and manufacturing spaces that range from 5,000-10,000 sq ft. The facility has one of the highest concentration of warehouses in the UAE and currently has occupancy rates above 95 per cent. A further phase of LIUs is under construction and it is estimated that a further one million sq ft of similar pre-built warehousing will be brought to the market in the second quarter. The compound LIU units have been built by the zone and are only available for lease. High-power units ranging from 5,000-10,000 sq ft are available for rent at Dh45 per square foot, with low-power units available for Dh40 per square foot. Dubai Investments Park (DIP) is the dominant onshore location in the south of Dubai. Major occupiers include Gulf News, Dubai Refreshments, Al-Futtaim Motors and LuLu Logistics. Both DIP 1 and 2 have seen substantial development over the last three years, resulting in a wide range of warehouses on the secondary market. Warehouses tend to rent from Dh40-Dh50 per square foot, depending on the quality of the build. These rents are subject to a tax of 15 per cent of the total rental income, payable to DIP.